Recent headlines by Western news outlets, such as the BBC, CNN and The Telegraph, in the coverage of the recent spate of violence currently unfolding in Israel and the occupied Palestinian territory have tended to focus on the Israeli victims of the unrest. On the other hand, little critical analysis has been dedicated to the deaths of any of the 44 Palestinians killed by Israel since the beginning of the month. On Saturday, as reported in various Western sources, the Israeli army claimed that a settler fatally shot 18-year-old Fadil Qawasmi after an attempted stabbing in Hebron. However, a video subsequently released has raised questions as to whether an Israeli soldier subsequently planted a knife upon his body, a version that is supported by residents who dispute the army’s statement of events. On Oct. 4, Israeli police fatally shot Fadi Alloun, 19, in East Jerusalem. As reported in the New York Times and many other news sources, Israeli statements claim he was also guilty of an attempted stabbing. However, an onlooker’s video of his death — which was subsequently posted by local news sources – depicts that he did not appear to pose a threat at the time of the shooting — and seemed to be running away from a group of Israeli settlers, who told the police he was a “terrorist” and called for him to be shot. Lacking even a mention in most reports is the chilling video footage that was first circulated on Oct. 12 on social media, showing Ahmad Manasra, 13, having been run over after a knife attack in the Pisgat Zeev settlement near East Jerusalem. His bleeding body splayed at unnatural angles, onlookers can be heard taunting him to “Die! Son of a whore, die,” or giving instructions to the police to “give” him “one in the head.” Equally lacking attention is the video of mother-of-three Israa Abed, 30, being shot on Oct. 11 at a bus station in Afula, while she was standing still and had her arms raised in what appeared a surrender. In recent weeks, videos such as these fill news feeds on a painfully regular basis, and depict potentially unlawful killings by Israeli soldiers that are far from accordance with official Israeli statements, accounts which are too often being parroted by the Western press. Indeed, video footage that emerged after the fatal shooting cast serious doubt as to whether she had been in possession of any kind of weapon. It is therefore all the more worrying when accounts of a one-sided “wave of terrorism” are narrated in the Western media, which perhaps act less as unbiased news sources than as a mouthpiece for those such as Micky Rosenfeld, the oft-quoted Israeli police spokesman. In possessing a well-oiled media machine and an established channel for disseminating information to Western media, Israeli authorities have a relatively easy task of presenting their version of events, and a clear advantage in dominating the narrative. In contrast, Palestinians lack well organized and coordinated representation, and have to rely on witness testimony which, if even available, usually only receives scant attention from local news sources. Sadly, the discrepancy between Israeli official statements and facts ascertained through witness testimony or video footage is nothing new. On July 3, Israeli military statements issued by Col. Yisrael Shomer, and reported in western press, claim that 17-year-old Mohammed Kasbeh was fatally shot in the midst of life-threatening attack on a military vehicle. However, the emergence of video footage ten days later suggested that the boy was shot in the back as he tried to flee, the use of lethal force thus not appearing to be legally justified in accordance with Israel’s own open fire regulations. As the media is such a key instrument in shaping public opinion, the partiality of sources could lead to more than just bad reporting. A Western audience subscribing to an incomplete picture of what is unfolding in Israel and the occupied Palestinian territory, could have significant implications for an occupation that rights group have stated as requiring international intervention. The demand for quick bulletins and the relentless appetite for the 24-hour news cycle mean that there is a widening schism between news reports and reality on the ground. With the abundance of cheap technology, every bystander with a camera phone can be turned into a source of valuable evidence. The recent proliferation of user-generated videos are lending a new dynamic to the escalating violence, and as many are seemingly turning to social media as a primary source of information, it appears that large news agencies are failing in their duty to provide accurate and up-to-date information. By relying on statements issued by a government that has been heavily criticized by NGOs and the recent UN Independent Commission of Inquiry for the failure of its own investigative processes, news editors are becoming negligent in their bid to churn out headlines, in circumstances which apparently do not wait for reliable fact-checking or effective scrutiny. In an apparent whitewashing of its actions, Israel is creating for itself an environment of impunity, in which Palestinians are defamed, and reduced to a default archetype of “terrorist.” It is this process of dehumanization which media outlets, in their failure to scrutinize sources of information, are potentially complicit in. Concerning an occupation which is constantly misunderstood, possessing accurate information is not only crucial to moving forward, but the spread of partial or misleading information is positively dangerous. 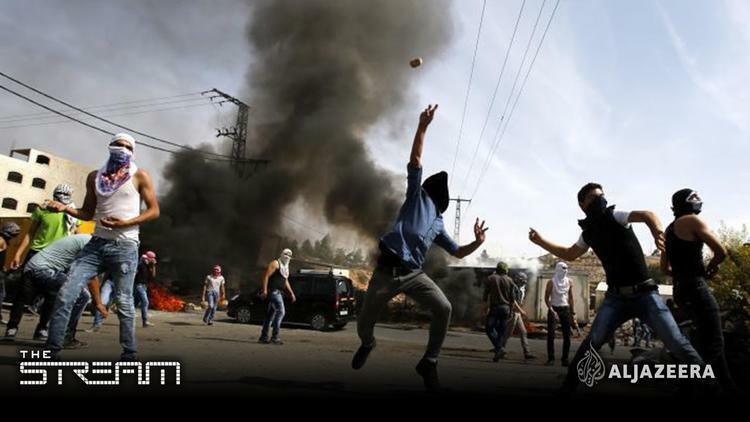 In the developing war of information surrounding what some observers have labelled the outbreak of the ‘Third Intifada’, it seems that objectivity and impartiality are the ultimate losers.